We have been selling and servicing most makes of small enginesfor more than 30 years and we sell the most trusted brands. 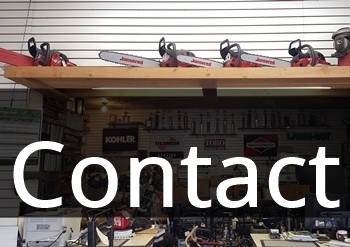 If it is a mower, rider, trimmer, chain saw, tiller, or snowblower, we have the experienced technicians and parts to deal with most every problem. We are open Monday through Saturday and pickup and delivery are available. 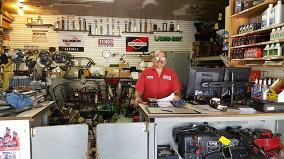 Providing parts, sales and service for lawn mowers, snow blowers, leaf blowers, edgers, chainsaws and other small engines. We want to hear from you! If you have a question or comment you can contact us by email here or call 402-592-3588. 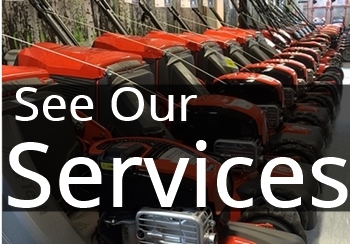 Since 1979, David Cotton and Small Business Services, Inc. have provided parts, sales and service for lawn mowers, snow blowers, leaf blowers, edgers, chainsaws and other small engines. Located in downtown Ralston, NE, people come from all over the Omaha Metro areato get this small town attention to service. From the minute you walk through the door, meeting your needs is our top priority. 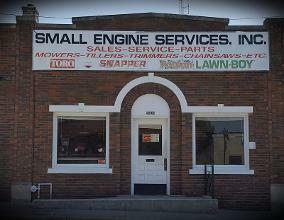 After working at a similar lawn mower and small engine shop in Benson as a young man, David took over Small Engine Services, Inc. in 1979. Since then, he has helped many loyal customers who make the trip to Small Engine Services, Inc. to buy new equipment or to maintain their existing equipment. "There have been families where I've taken care of three generations. I've helped the father, the son and then his son." After more than three decades working on various lawn mowers, snow blowers, chain saws and engines, Cotton isn't tired of what he does. He is always on hand to help fix the mechanical issues or provide a tune-up to any small engine brought in. 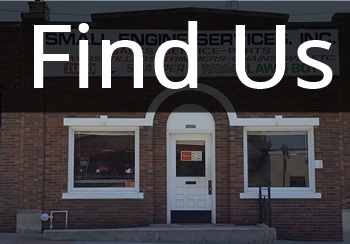 We are a family owned and operated business with years of experience with small engine sales, parts, and, service.. We have built our reputation around the highest quality of professional service, products and craftsmanship. Call 402- 592-3588or come in today!